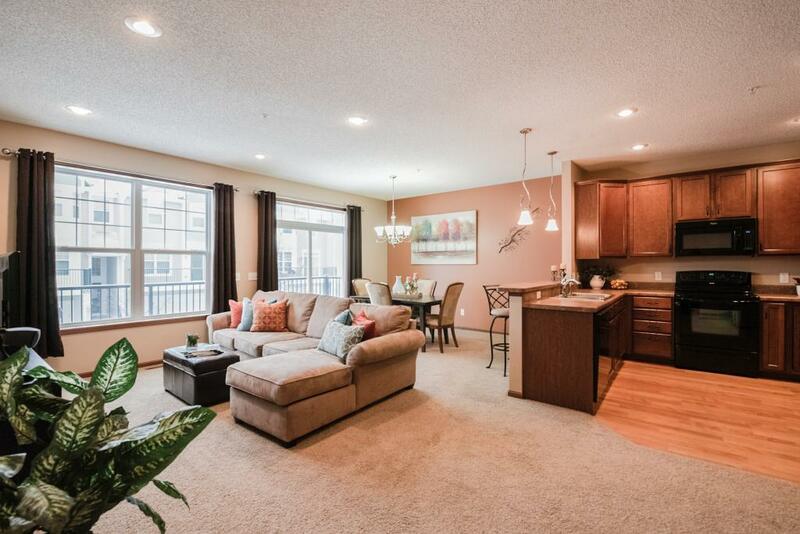 This exceptional townhome, located in desirable Cobblestone Lake, is move-in ready. You'll love the open concept floor plan & updated kitchen with abundant storage, bar stool seating plus recessed & pendant lighting. The bedroom level has a spacious master retreat with its own private full bath & walk-in closet, second bedroom with walk-in closet, full hall bath, & laundry. Wonderful neighborhood amenities include a pool, lake access & close proximity to shops & restaurants.